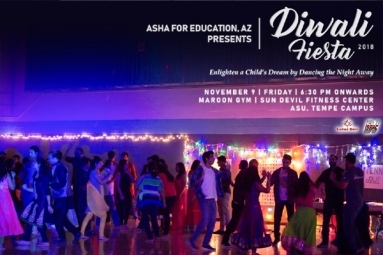 Asha for Education presents "Diwali Fiesta - Enlighten a Child's Dream by Dancing the Night Away !" 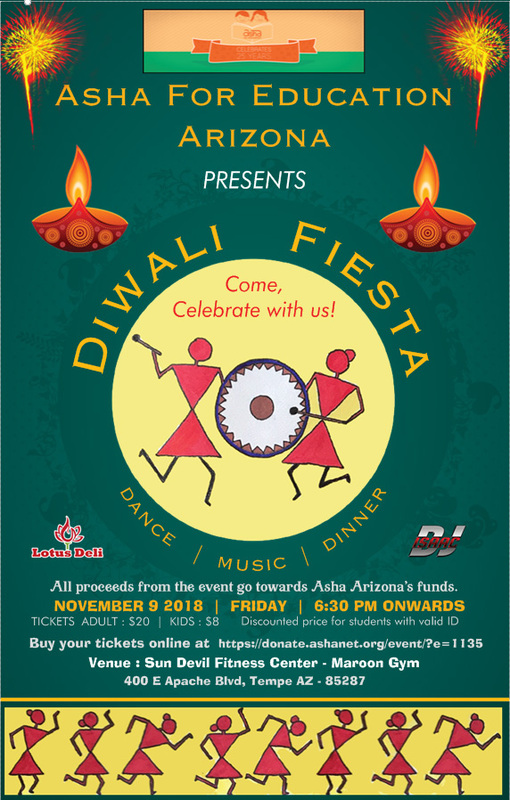 Come, join us for an evening filled with festivity, delicious food, and entertainment. Bring your kids, families and friends, and dance to popular tunes provided by the DJ. There will also be a stall selling funky and traditional Indian Jewelry. Tickets pricing may vary when bought at the event. *The ticket includes entry to the event and dinner for one. All the proceeds from the event go towards funding education projects for underprivileged children in India. Venue: Maroon Gym, Sun Devil Fitness Center at Arizona State University, Tempe Campus.